Representatives of the Mexican Consulate came to Bayonne City Hall from Tuesday to Friday last week to provide services to Mexican-Americans and Mexican nationals. The consulate is in Manhattan but brings service to surrounding areas on a regular basis. Last week saw federal raids of undocumented immigrants in cities across the country, and Hudson County Executive Tom DeGise was pressured by activists to cease using the Hudson County jail as one of four detention centers used by Immigration and Customs Enforcement (ICE) in NJ. 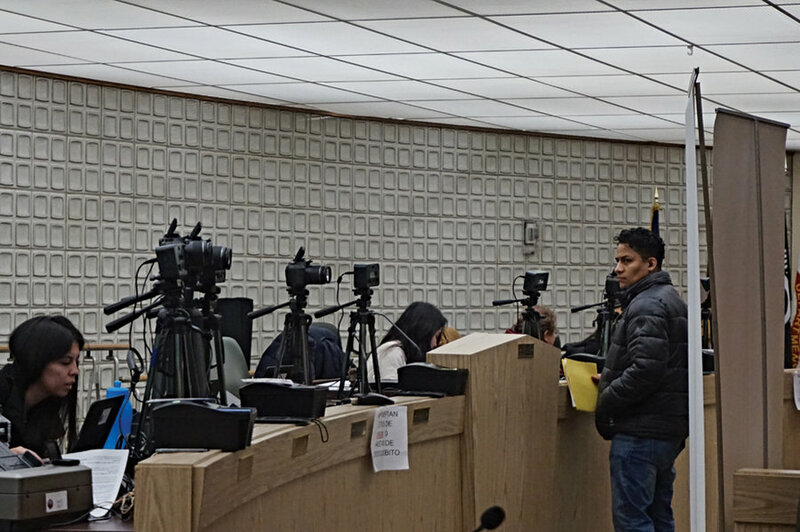 While Union City and Jersey City have issued executive orders declaring themselves “sanctuary cities,” restricting their cooperation with ICE, Bayonne has yet to make any such declaration. This year’s political climate surrounding immigration makes getting proper documentation more important than ever to Bayonne’s substantial Mexican population. It’s also much more convenient than traveling to Manhattan, especially with a family. Bayonne City Councilman-at-Large Juan Perez helped facilitate the consulate coming to Bayonne, along with Rubin Arana of the Bayonne Hispanic Association. “It helps them become American citizens, registered voters, taxpayers. They want to become American citizens, get jobs,” said Perez, himself of Puerto-Rican descent. He calls Mexicans living in Bayonne his “constituents,” and said their population is increasing all over the county. The consulate helps Mexican immigrants reduce the risk of running into trouble down the road. For instance, having no photo identification can result in deportation in some circumstances. So Mexican consular IDs and passports are more important now than ever. Also available are health workers for routine medical checkups and an attorney hired by the consulate for legal counsel. The most common service is obtaining dual-citizenship, said Arlett Montes, who directs the consulate’s satellite office. In today’s political environment, Mexicans are under greater threat of deportation; many first-generation Mexican-Americans fear for their parents. Jose Mercado, 24, a Mexican-American born in Clifton, NJ, was at the consulate with his family seeking dual-citizenship for his mother. “I know I’m safe,” he said. “It’s my uncle and parents who were born [in Mexico],” who are not safe. Rubin Uraga, a Mexican immigrant living in Bayonne, was at the consulate with his wife, Jennifer and baby son to renew his Mexican consular ID and receive legal counsel from the visiting attorney. Carlos Gerardo Izzo, Press Secretary for the Mexican Consulate, said that 50 Mexican consulates in the US are “being reinforced” with extended schedules and services. The Mexican Consulate has been busy, to say the least. Last week they were operating multiple satellite offices at the same time.